Burnley have made a dreadful start to the season, and Kevin Hatchard doesn't think it will improve at Molineux on Sunday. "Burnley are leaking goals and making uncharacteristic mistakes, while Wolves have hit the ground running in the top flight." After they stormed to the Championship title, perhaps Wolves' fine start to the Premier League campaign isn't much of a surprise. They kept the core of the squad that had won promotion, and used their significant contacts and resources to make some intriguing additions. Although their dramatic 1-0 win at West Ham before the international break wasn't exactly convincing (they scored deep into stoppage time) it did boost their points tally to five. A draw with Manchester City at Molineux isn't to be sniffed at either. It says a lot that coach Nuno Santo has had to dampen down speculation linking him with a move to Manchester United to one day replace Jose Mourinho. Wolves' Black Country bastion has proven to be pretty impregnable in recent months. The men in old gold haven't lost a home match since mid-January, when they were beaten 2-0 by Nottingham Forest in the Championship. In nine of their last 11 home matches, Wolves have scored at least twice. 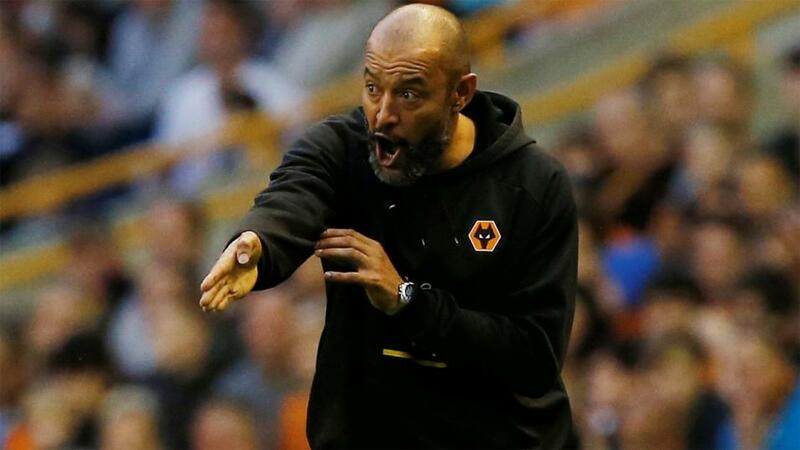 Nuno has warned his players not to let the international break halt their momentum, and he has plenty of options to choose from in a talented squad. Raul Jimenez picked up an injury on international duty with Mexico, and could miss out, while winger Ivan Cavaleiro isn't yet fit for duty. There's an argument to say that outside the established top six of the Premier League, any team is vulnerable to slipping into a relegation dogfight. Burnley's start to this season illustrates the point - last term they were rightly praised for securing a seventh-placed finish and qualifying for Europe, but now they sit in the relegation zone with just one point accrued from four games. Like running up the famed travelator in much-missed TV show Gladiators, a failure to maintain forward momentum can have catastrophic results. Of course, Burnley have plenty of time to turn their season around, and they may feel that the premature end of their Europa League campaign is a blessing in disguise in the long term, but the early signs are alarming. Burnley only let in 39 goals in 38 league games last term, but they have already conceded nine PL goals. Stretching back into the last campaign, they have lost five of their last six top-flight matches, and haven't won a Premier League game since mid-April. Boss Sean Dyche says his squad has had a beneficial international break, mixing work and rest to an effective degree. Defender Ben Gibson has a groin injury, but Icelandic international Johann Berg Gudmundsson could return after a hamstring problem. Burnley are leaking goals and struggling for form after a busy start to the campaign that included trips to Turkey and Greece. They are making uncharacteristic mistakes, and they are unlikely to stop a very good Wolves side from taking three points. I know Wolves haven't won a home game in the league yet, but they played well against both Everton and Manchester City, and I'll back them to win here at [1.8]. Wolves are used to scoring freely at home, and an Over 2.5 Goals bet has landed in seven of their last 11 competitive matches at Molineux. Burnley have seen an overs bet pay out in three of their last five outings in all competitions, including their last two away games. With overs trading at [2.4] here, I can't resist. You could also make a case for Both Teams To Score at [2.28], as Wolves have kept just one clean sheet in the league, but have scored in all four matches themselves. If you want to build an acca with the Sportsbook's Same Game Multi feature, you could back Wolves to win, Over 2.5 Goals and prolific Wolves striker Diogo Jota to score at combined odds of [6.83].